RiverRat's has an option for you! We also offer group and corporate event rates! This scenic paddle takes you down Lynches River. Flowing through tall cypress trees and around scenic areas untouched by mankind, it’s a trip you are sure to enjoy. This 5 mile trip takes on average 2 – 4 hours to complete. Don't forget to fill out the waiver! 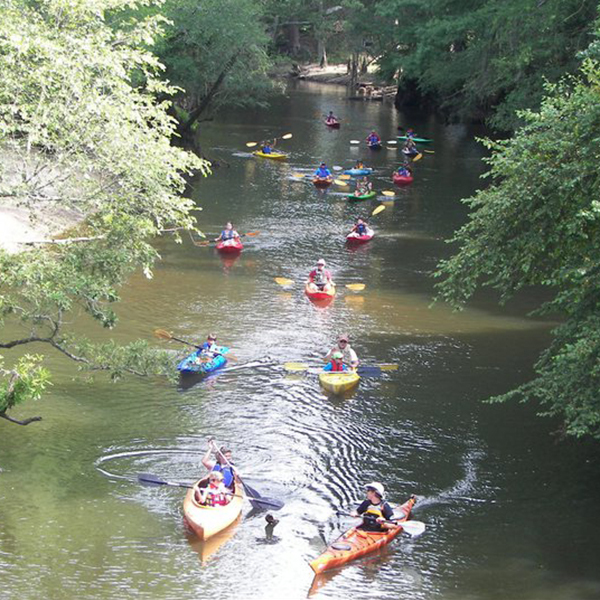 This scenic paddle takes you down Lynches River. Flowing through tall cypress trees and around scenic areas untouched by mankind, it’s a trip you are sure to enjoy. This 10 mile trip takes on average 5 - 7 hours to complete. Looking for a fun outdoor adventure and challenge for your kids? Look no further. 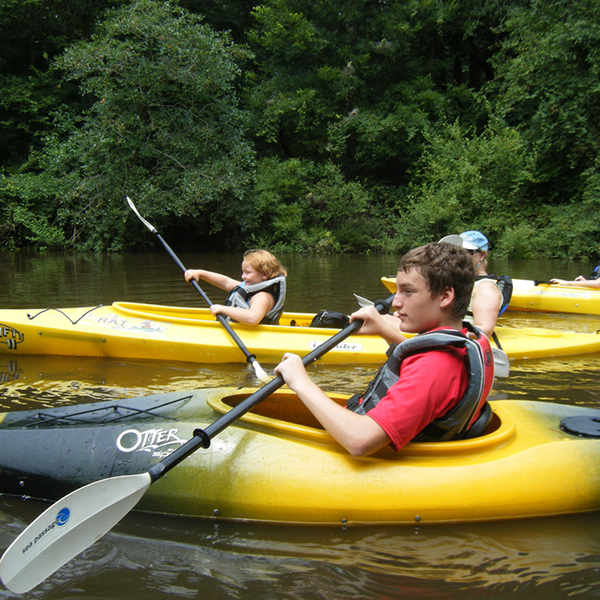 Our adventure camp encourages them to work together on and off the river. It opens opportunities for them to bond and build team skills. Camp is Mon - Fri, 9am - 3:00pm. On Friday we invite parents to join us for a morning kayak trip where to lunch will be provided afterwards. Join us in the Revolutionary Trail down Lynches River. This trip was featured in SC Living Magazine. The trip will take approximately 4 hours. Don’t be late! Meet at Odell Venters Landing on Kingsburg Hwy.